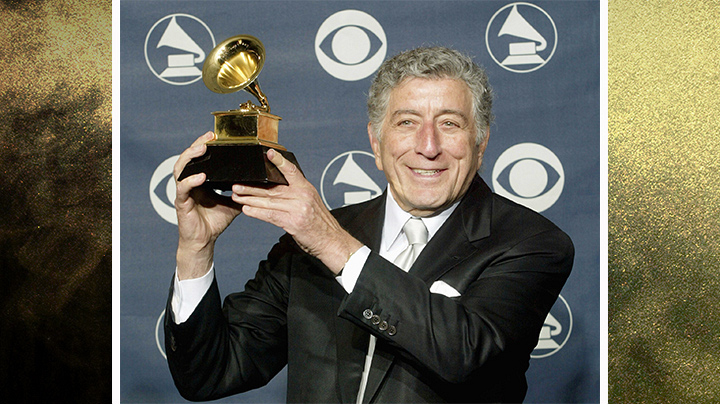 Legendary crooner Tony Bennett kept his style as classic as his music in this black-and-white three-piece suit at the 45th Annual GRAMMY Awards. His best accessory? One of his 17 golden gramophones.